Normally you guys would see a video from Third and Long here, but this week we have something a little different for you. I kept meaning to take out the video camera and film all of the awesome people of DolfansNYC, but the Miami Dolphins kept the game very interesting today and I just couldn’t bring myself to move my attention away from the TV. But, I can tell you that the energy at the bar was amazing, the celebrations were huge and the singing was LOUD! As many of you may know, DolfansNYC was started because a small group of us were sick of being stuck in the corner of a Patriots bar. Well, today we felt that it would only be fitting to go back there and have a couple celebratory drinks. Check out the video of our walk over and enjoy another edition of Igor’s “Faces of DolfansNYC”. Last week was a tough loss and it might have killed our chances at the playoffs, but at least the Patriots lost and if we beat them today everything gets a lot more interesting. Despite the loss everyone had a lot of fun at Third and Long last week and we hope to see everyone back out again this afternoon. Remember, the game was flexed from 8PM to 1PM so make sure you are at the bar by 1245 anxiously awaiting kick off! Short Michelle has been taking drum lessons and on Wednesday she is going to be performing the Monday Night Football theme decked out in Dolphins gear as part of her drum schools student showcase. Come out and support her. Also the Miami Dolphins sent us an email asking us to plug their new web show called the 5th Quarter Show. Every week after the game they are going to be doing a live post game online featuring Bary Buetel and Nat Moore. Already they have a bunch of videos up and you should check it out. It seems like it should be pretty great. 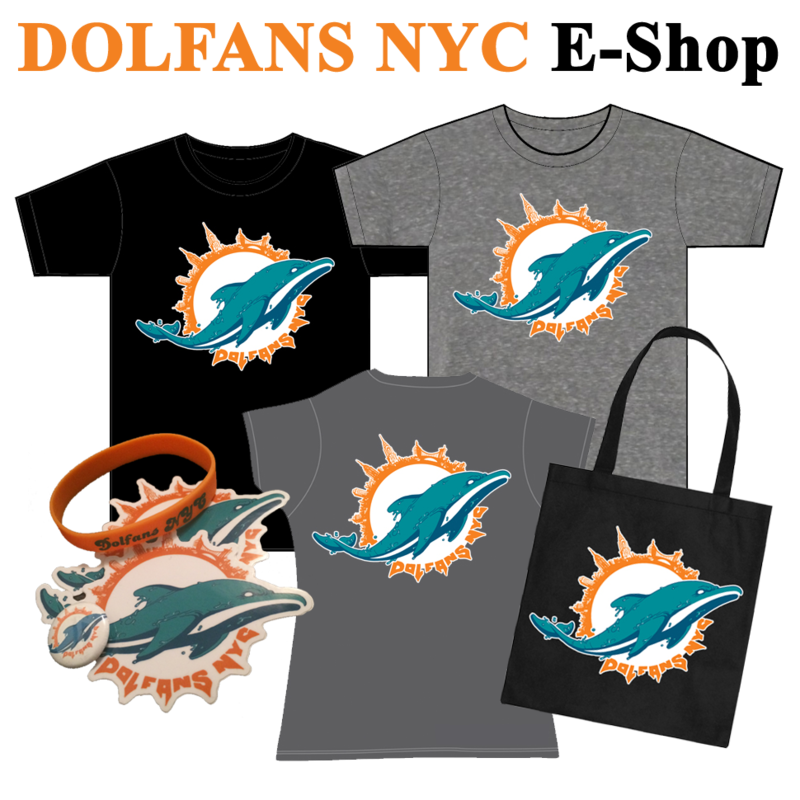 Lastly if you have anything Dolphins related you would like to see in the weekly email or on the DolfansNYC website, please let us know. We would love to get more people involved! Thanks a bunch! Go Dolphins! During Short Michelle and my trip to Miami we celebrated the Tampa Bay victory at Kim Bokamper’s sports bar.Â On the menu was a 3lb buger called The Beast.Â If you ate the whole thing you got the $30 burger for free.Â Watch my attempt at the unthinkable, all while the Patriots lost to the Colts. Thanks to the Shed Dawgs for cheering me on and of course to Michelle for putting the video together. It’s Week 13 of the NFL season, which doubles as the final week of the regular season in most fantasy leagues.Â I’ve got all of the matchups to exploit to help you secure a playoff spot. Â This week’s recommendations include starting a couple of familiar names, benching a top-tier WR, and picking up a few risky and underrated players who could end up making a big difference. Â As always, we’ve got plenty of music, photos, and jokes for your viewing pleasure. Â Go Fins!! Here is a video that Michelle put together from the Panthers/Dolphins game two Thurdays ago at Third & Long.Â Everything seemed so possible then… sigh… The video is great, I didn’t have time to get it up last week and I have been sulking this week, so here it finally is.Â If you haven’t been out to Third & Long yet this video shows you what it’s all about. I don’t even want to talk about it.Â I am not sure if it’s better or worse that New England got killed today. We should be playing for first place next week.Â Kill me. Double click the slide show to get to the gallery on Flickr so you can download the pictures.